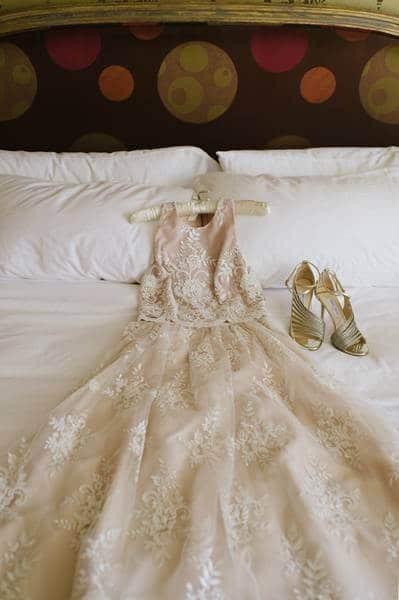 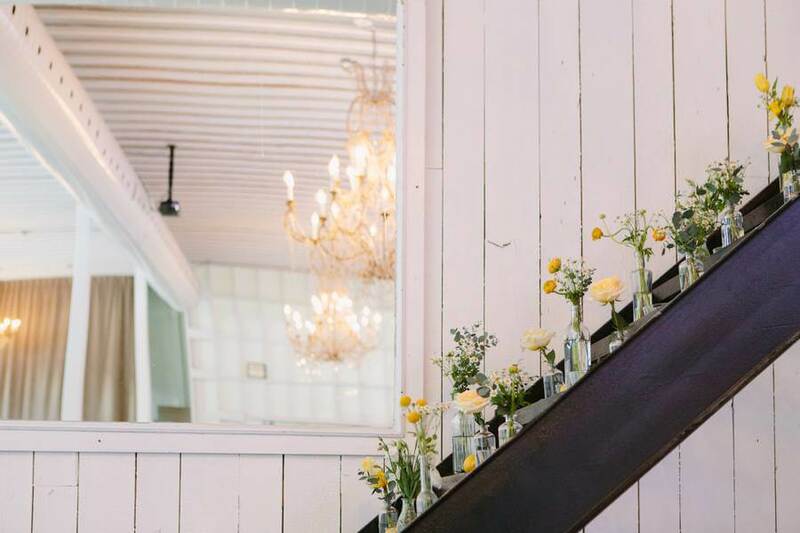 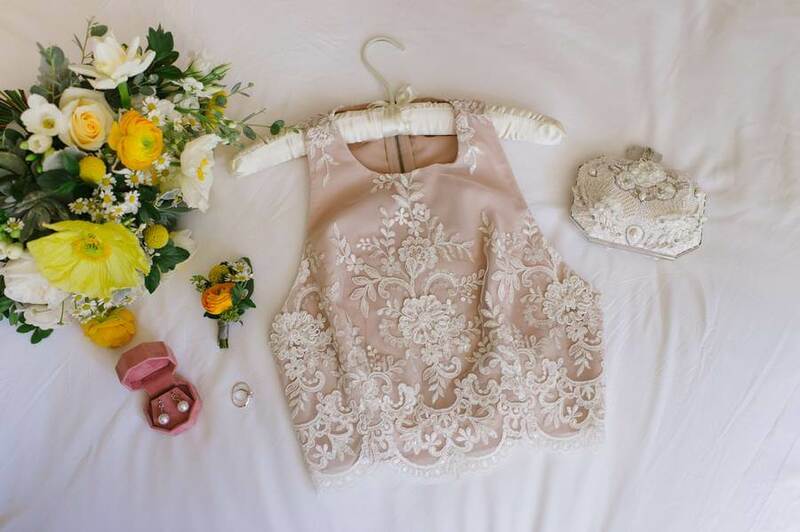 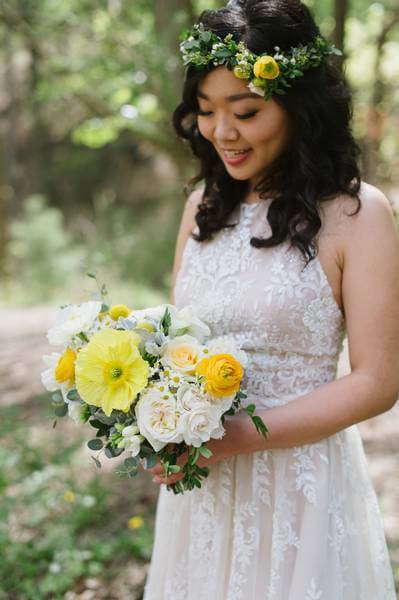 From lace details to bright wildflowers, Clara and Geordie’s dreamy wedding is chock full of darling details and is the picture of pretty perfection. 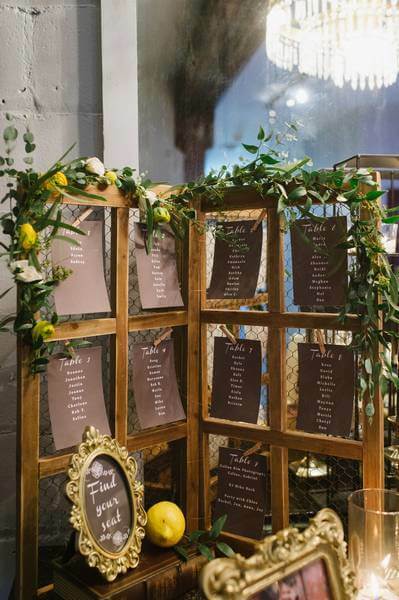 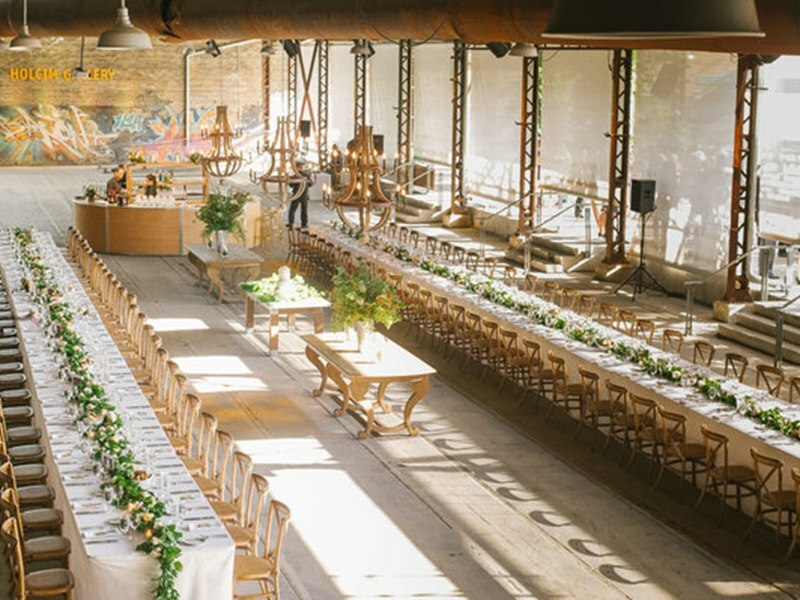 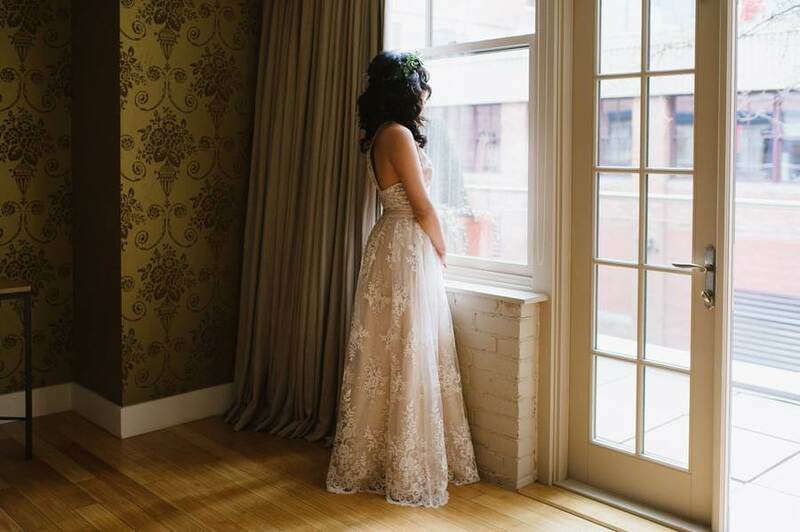 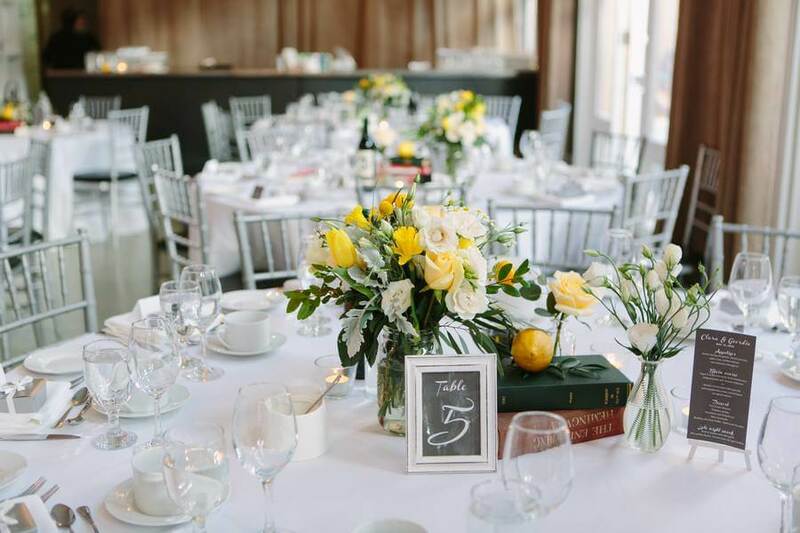 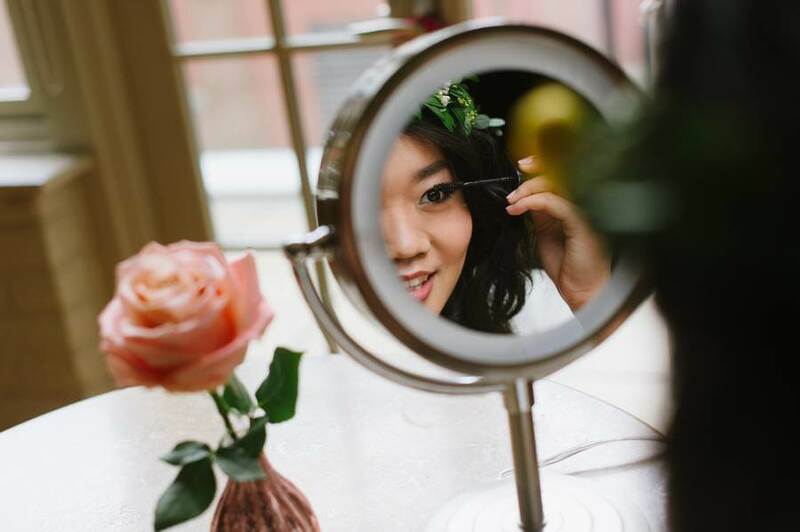 Party With Chloe orchestrated the dazzling masterpiece, which was inspired by the book “Urban Vintage.” Set at the Berkeley Church & Field House and beautifully snapped by Celine Kim Photography, this wedding definitely makes our hearts go a-flutter! 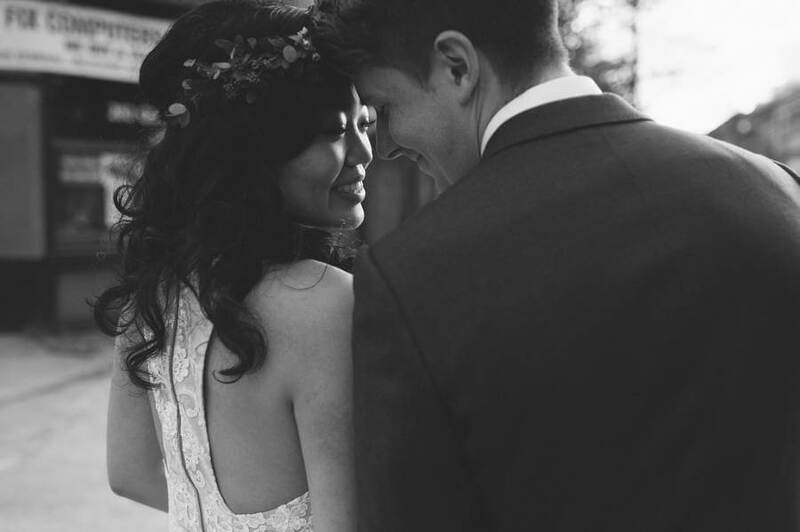 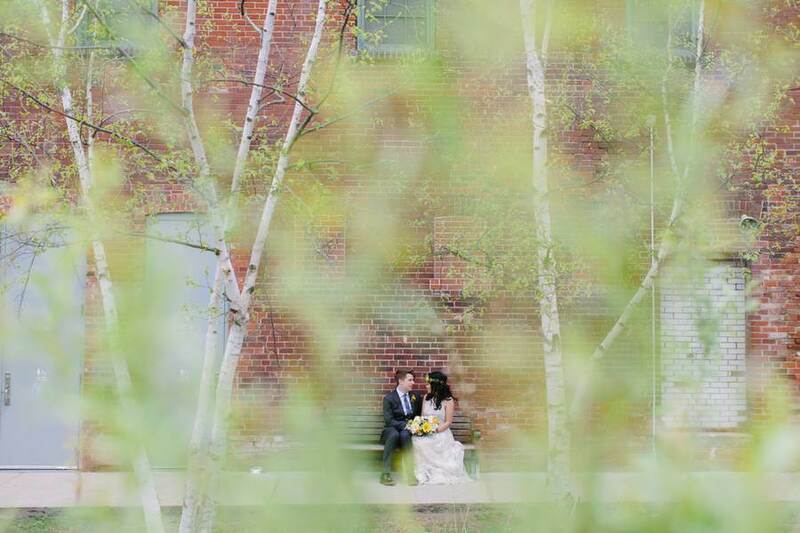 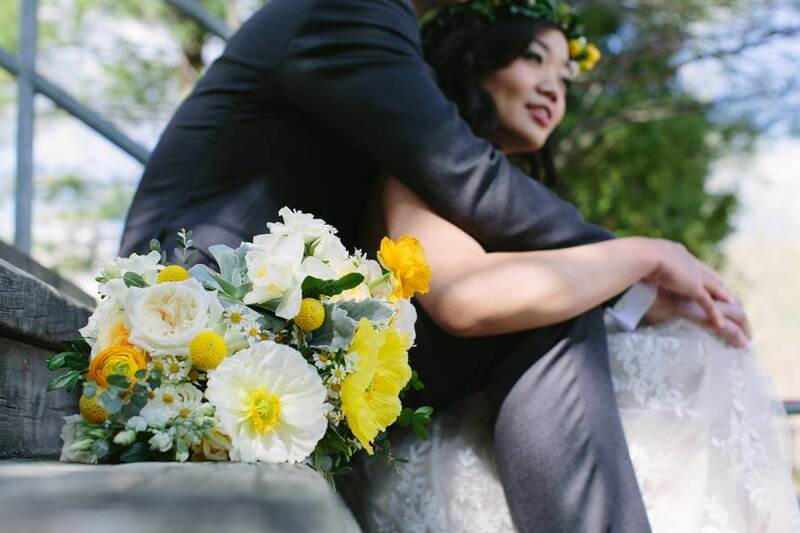 After sharing their romantic first look, the couple’s stunning photo shoot perfectly captures the theme of their wedding, using both Mother Nature and city streets as backdrops. 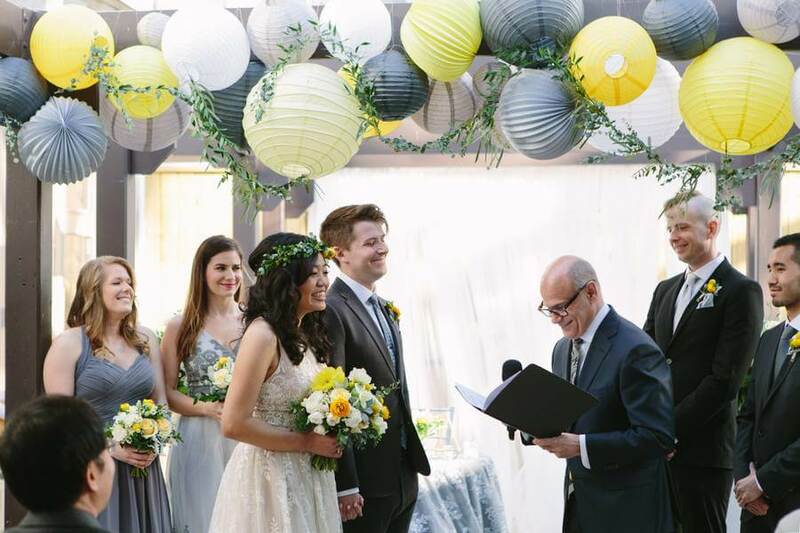 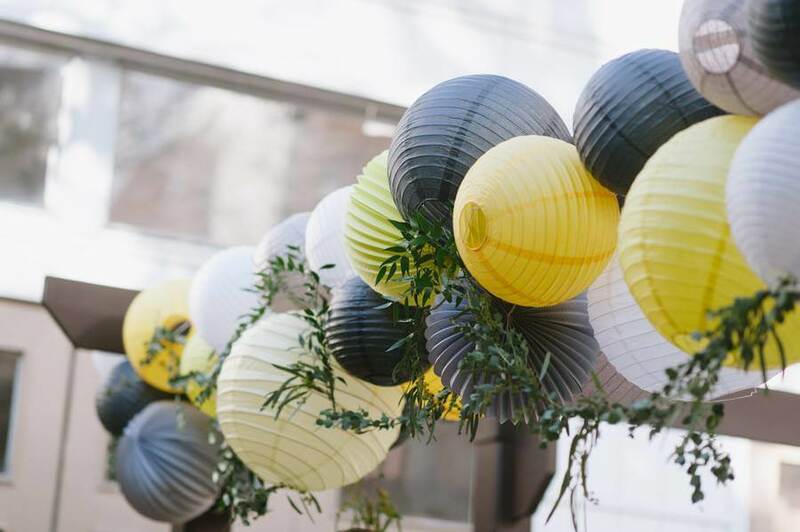 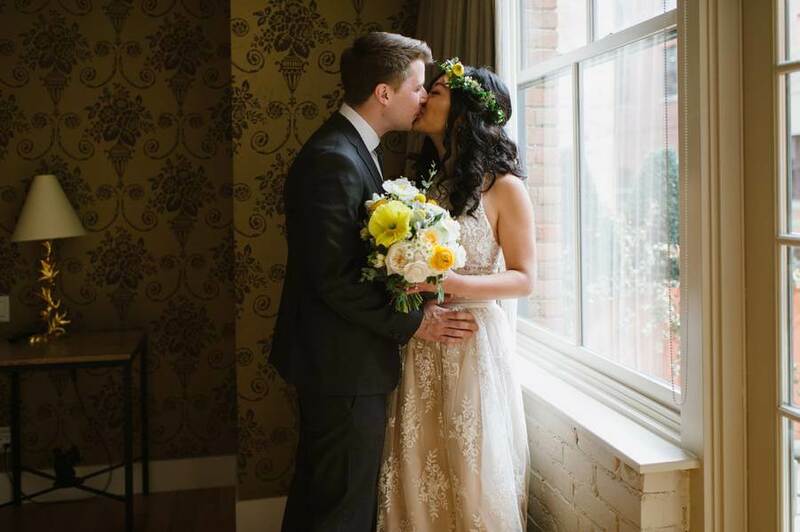 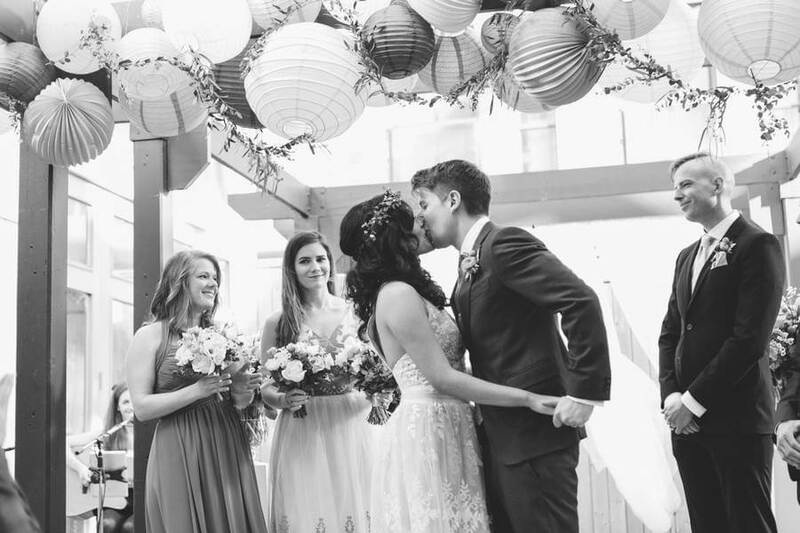 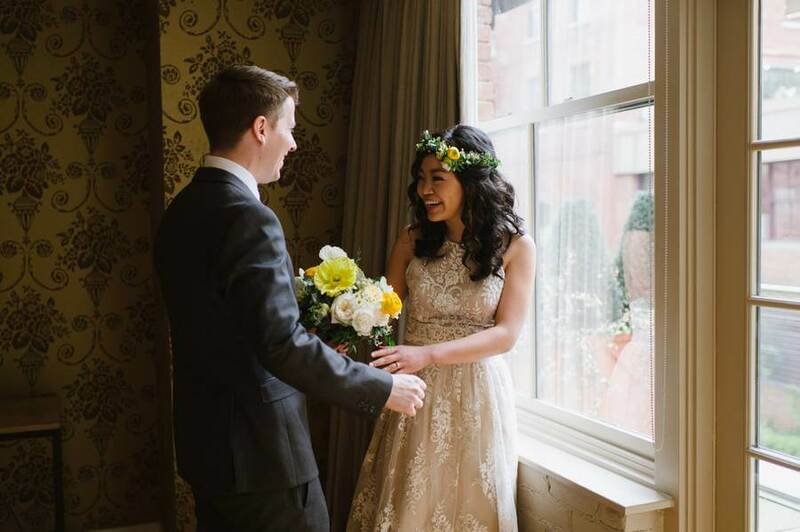 The couple’s intimate bright and beautiful ceremony, officiated by Ceremonies With Choice, is highlighted by black-and-yellow Chinese lanterns and a gorgeous floral archway. 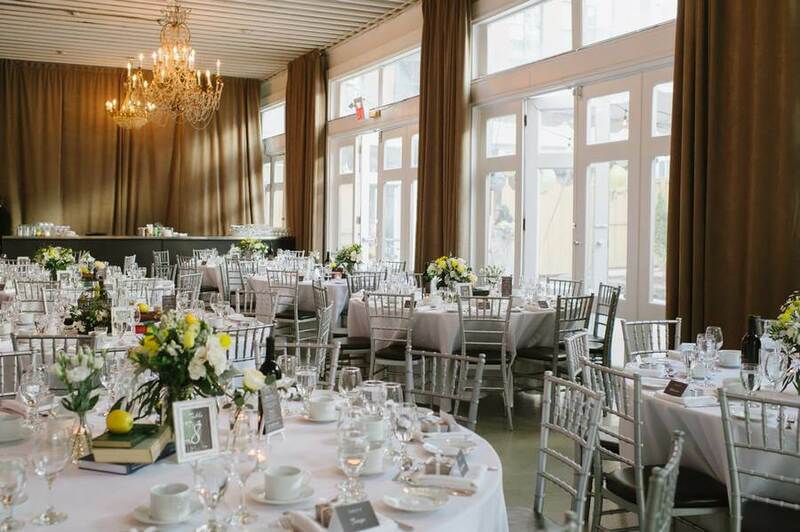 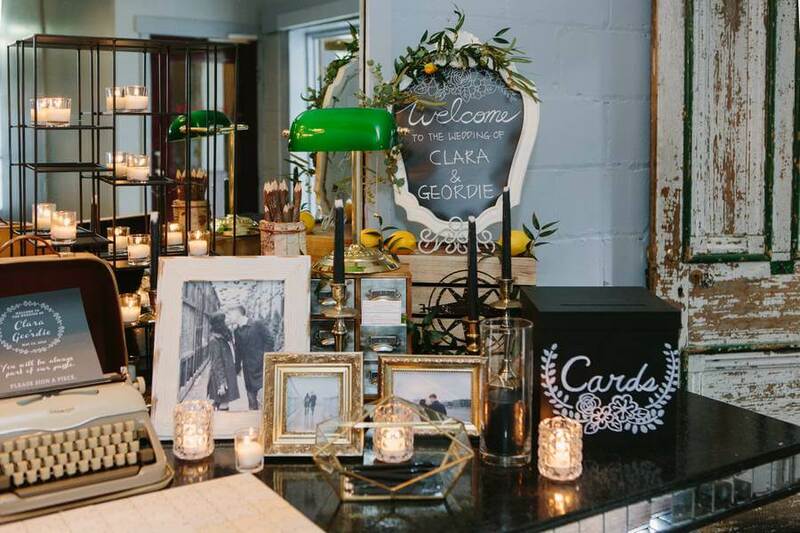 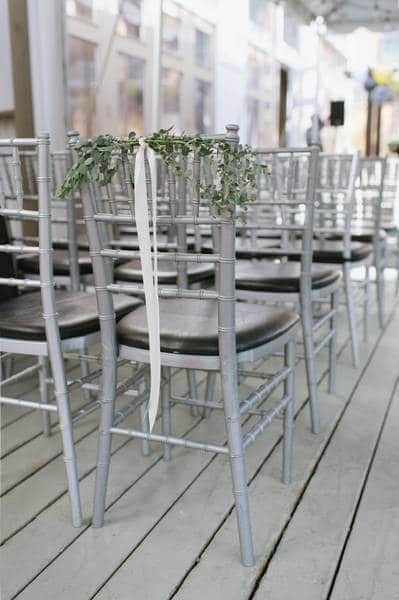 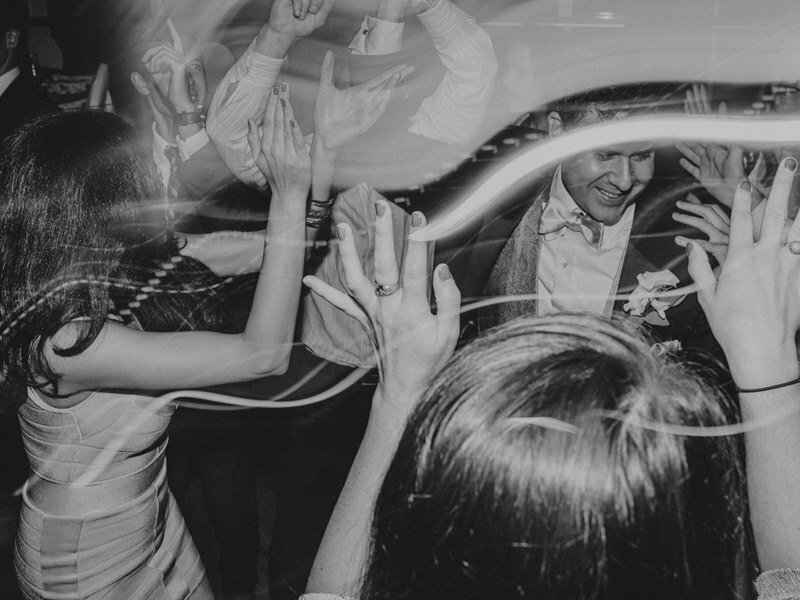 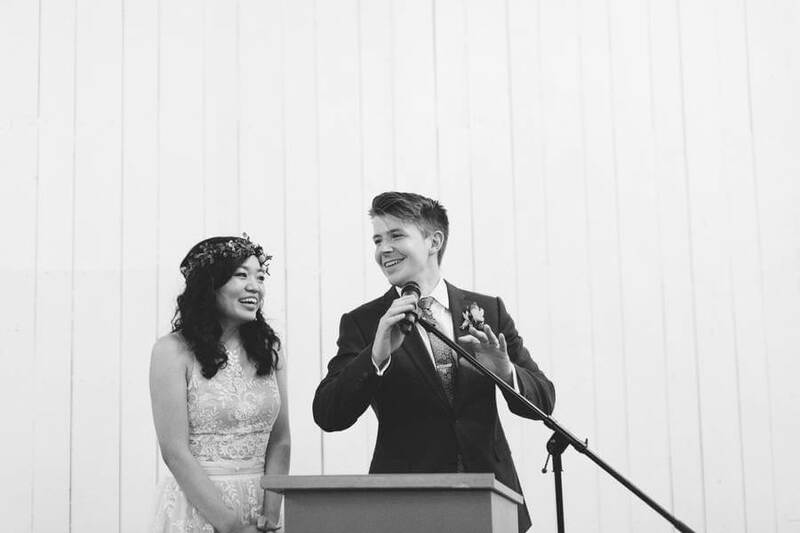 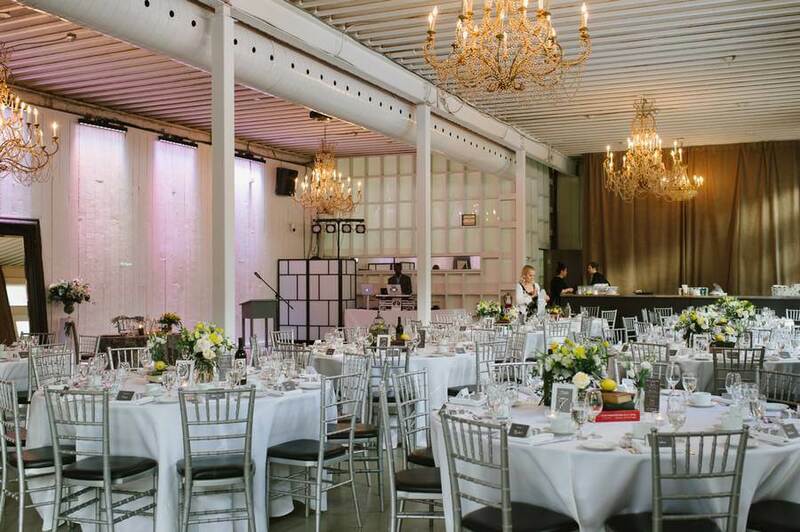 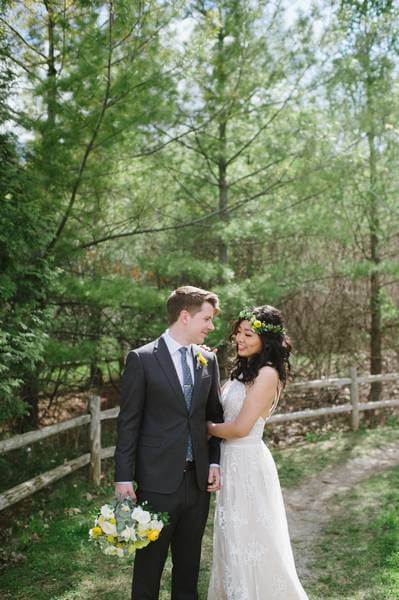 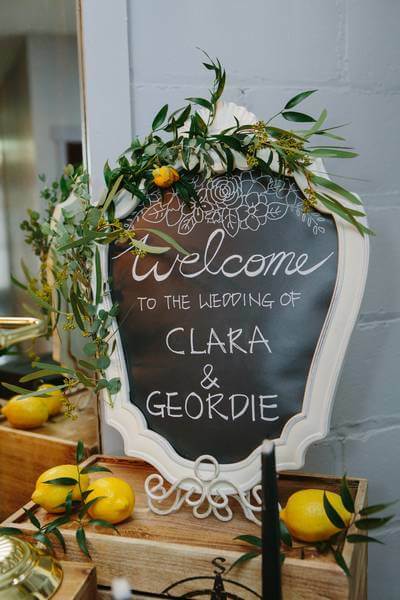 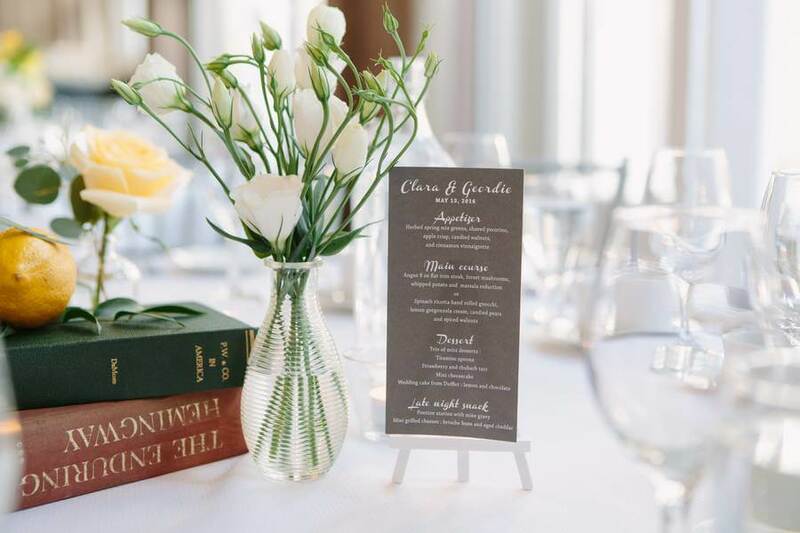 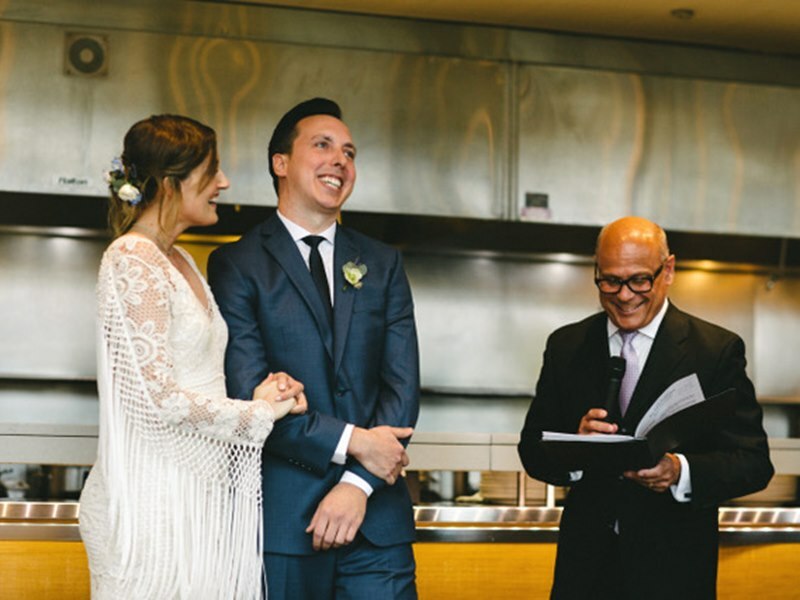 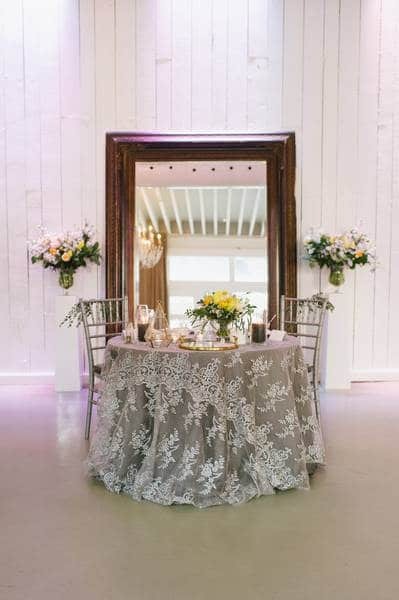 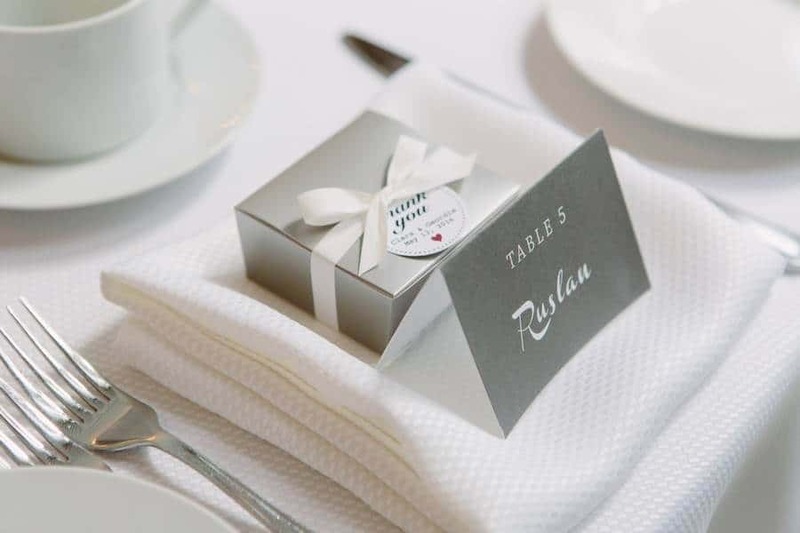 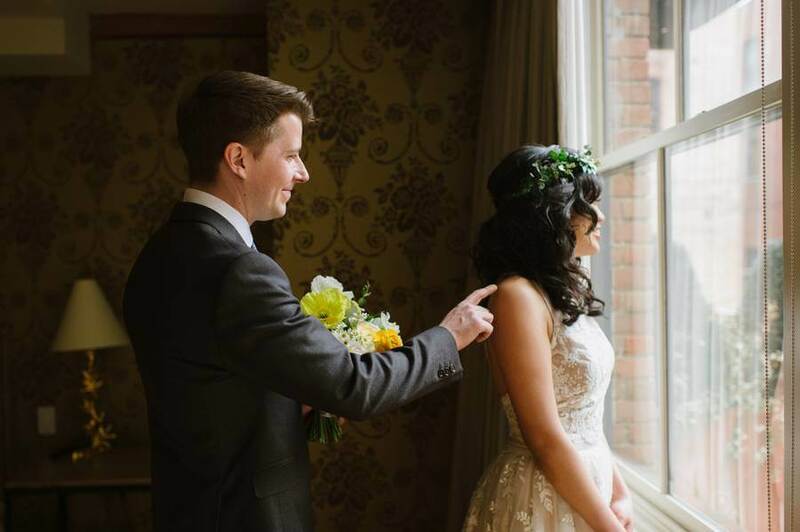 The couple’s reception has just the right balance of modern elegance and vintage charm. 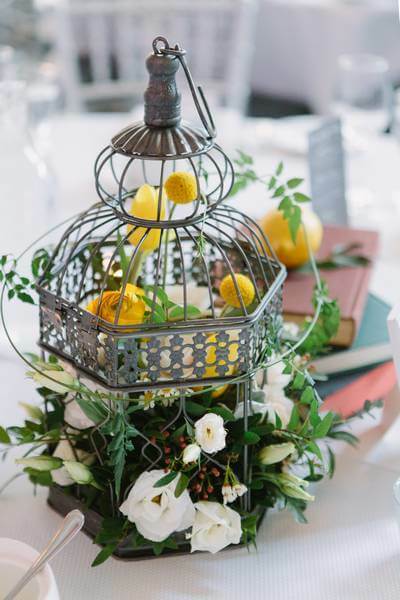 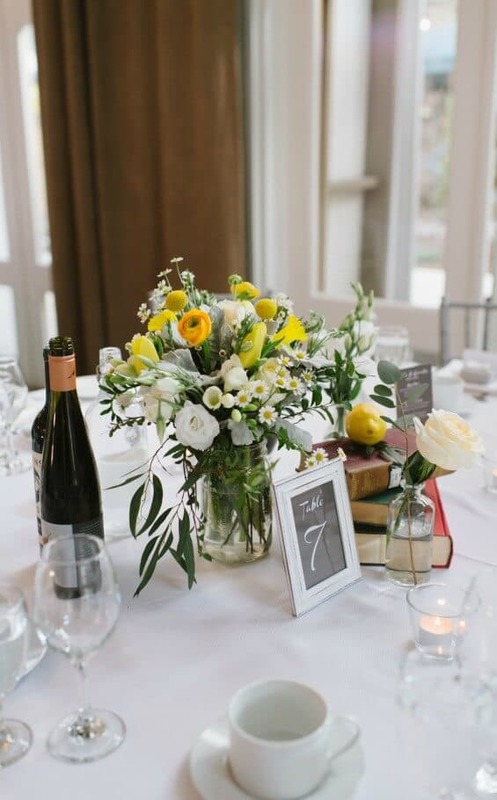 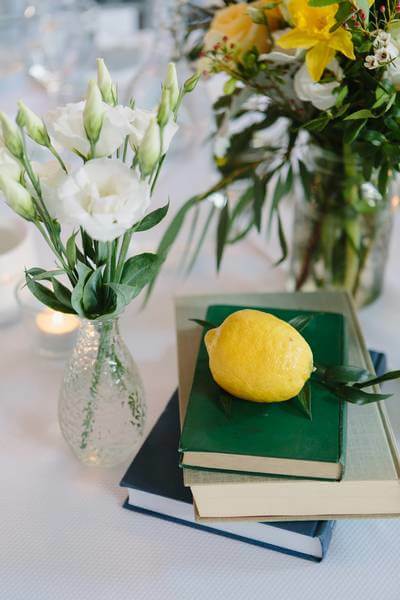 Fresh yellow and urban grey colours blend perfectly with rustic book-inspired details including old books, chalk boards, a library light, a library card box, and a type writer. 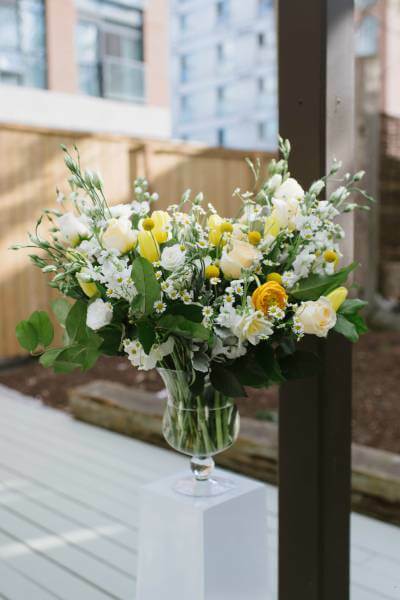 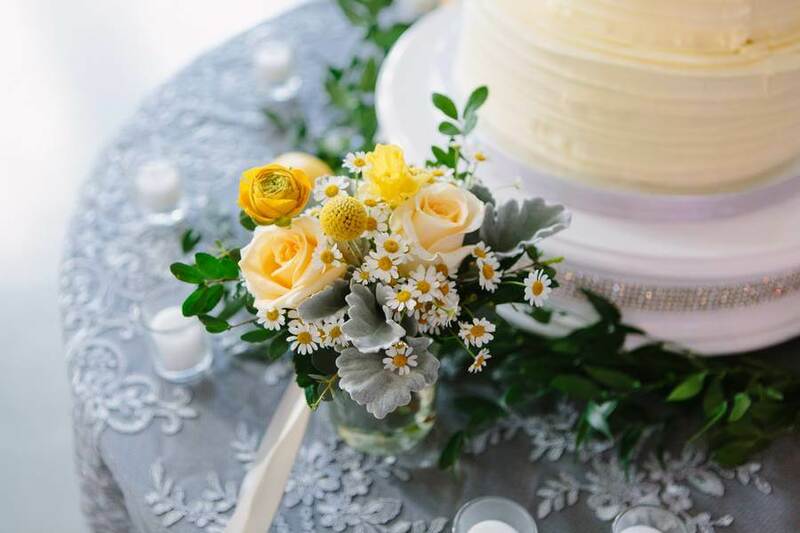 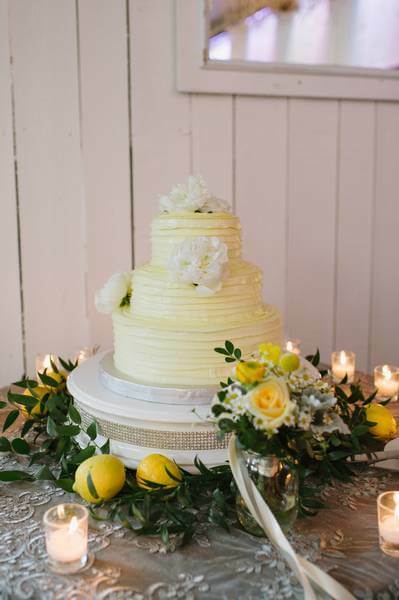 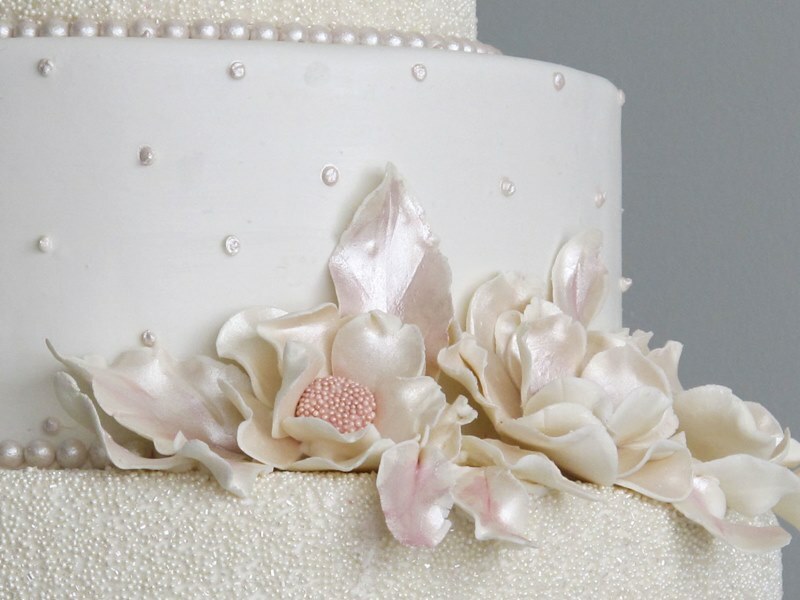 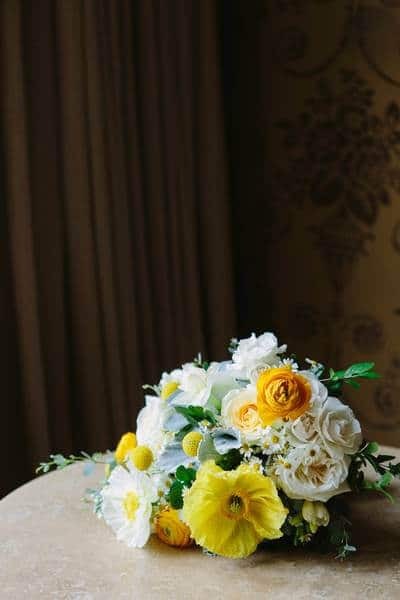 Fabulous florals by Flower 597 and a sheek white palette made for chic tablescapes, while a yummy yellow cake from Dufflet Pastries capped the night off on a sweet note.